Maranga's middle mattress: your ticker to a higher level of comfort. 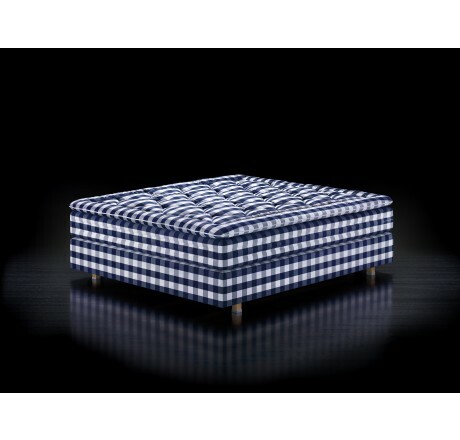 Ir is like putting a cloud on another cloud­ - and then adding yet another cloud (the top mattress). As you can see, we're aiming for the stars when it comes to softness, firmness and pliability. 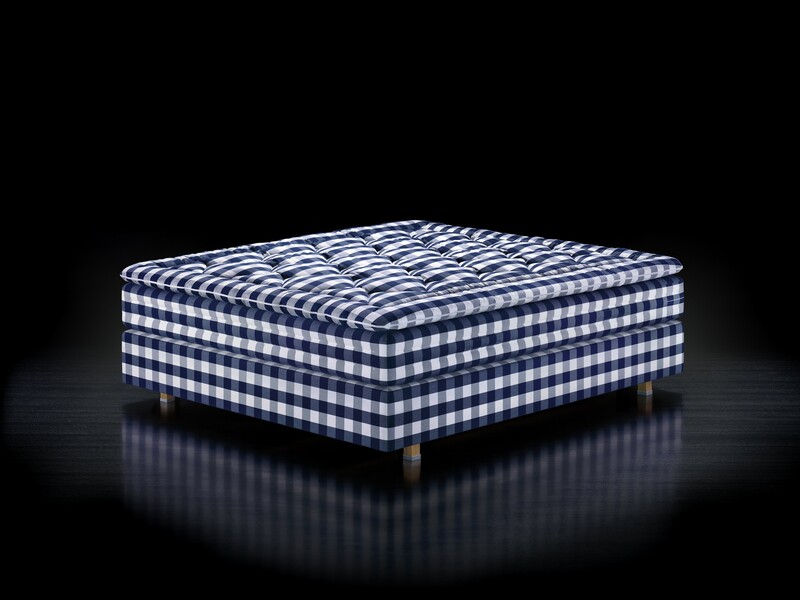 When you lie in a Hastens Maranga you're imme­diately embraced with a sense of peace and serenity. The bed is the very definition of responsive plia­bility. It receives you with a gentle hug as you sink into it and then, as soon as you get up, its resilient surface follows your body, returning to its firm and even resting state. As though it had not been lain upon. Our Maranga provides that identical sensation each time you return to it, from your first night to the nine thousand one hundred and twenty­-fifth night. The higher ambitions we set for our beds are reflected in our manufacturing process. We spare no expense or effort in pursuit of perfection. We use nature's finest materials: horsetail hair, wool, cotton and flax. The materials are assembled by hand using our unique layer-by-layer technique developed and refined for over a century in our workshop. Side-stitching completes the work. Thar alone takes two hours per middle mattress to complete by hand. Skilled master craftsmen follow our iconic fabric pattern to the letter - or, to be precise, the square - to place each and every stitch in precisely the right place. The name "Maranga" comes from the Maori word for "wake up". It's not only designed to give you a good night's sleep, but to also ensure you feel awake throughout your day. 124.5 kilograms of tireless comfort. 2 layers of hand-teased J horsetail hair. 8 layers of cotton and wool. 1 Bonnell spring system, 8 cm high, with machine­-knotted coil springs. 1 layer of flax that provides sound insulation and conducts static electricity away. YOUR BODY IS UNIQUE. YOUR MARANGA CAN BE TOO.